A couple of months or so ago, I decided we needed a change from fruity smoothies for our morning breakfast. Delicious as they are, I’m more used to having something savoury at this time in the morning – it just feels right somehow. 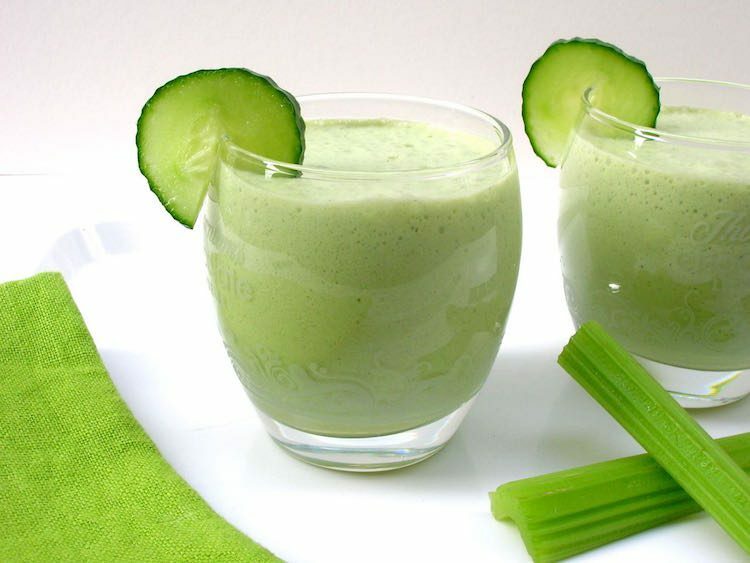 This cucumber and celery smoothie is so versatile it doubles up as a cooling summer soup. When a friend kindly left me a multitude of courgettes on my doorstep the other day, I was delighted. Not only were they freshly picked, but they were small, multi-coloured and pretty. My friend was equally delighted, she can’t give them away fast enough. Any number of recipes have been developed to make the most of this seasonal abundance. When I consulted Twitter, the oracle spoke: spiced courgette fritters it was. Canned food can be a life saver. This black bean & bulgur wheat feta salad uses a variety of tinned and jarred goods. It’s a quick, tasty and nutritious salad which works well both as a main meal or light lunch. It’s also ideal for packed lunches, picnics and buffet style meals. I’ve always been a big fan of mushrooms, I can’t help myself. When I was asked to feature a recipe for creamy garlic mushrooms on my blog, it took me a whole two seconds to decide. Mushrooms with garlic and cream is probably my favourite way to eat them. If you haven’t tried miso in savoury muffins before, you’re missing a trick. It gives a wonderful umami hit and added depth of flavour. 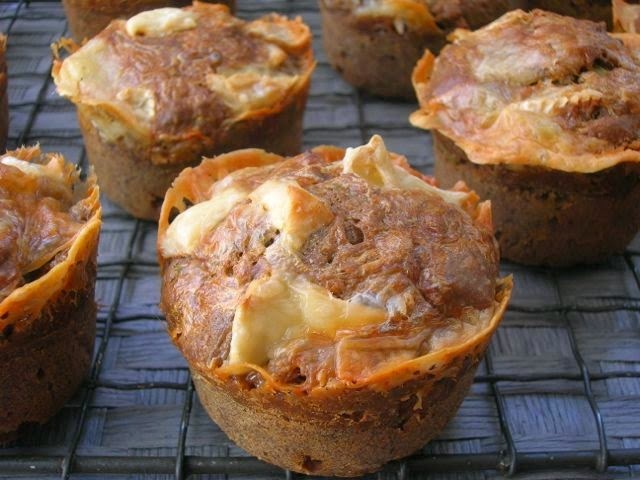 These miso muffins are made with wholemeal spelt flour and loaded with extra veg. We added kale, carrot and courgette, but other veg would work well too. They’re ideal lunch box fair, but would also give an excellent morning boost if you had one for breakfast. This recipe for spelt cocoa pitta breads may sound a little odd, but it’s very good and well worth trying. 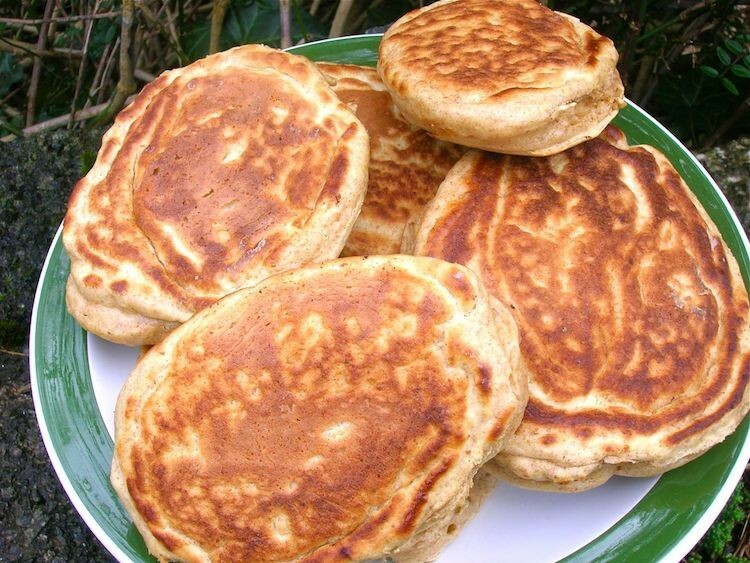 The pittas are soft and delicious with just a hint of cocoa to give added depth and flavour. Serve them with a versatile and tasty avocado egg sandwich filling that pairs remarkable well. This filling also works as a tasty dip. Savoury muffins for brunch are a wonderful thing. They taste good and you can pack in whatever vegetables you happen to have to hand. They make an interesting and easy packed lunch too and they’re ideal for picnics. These beetroot, walnut, wild garlic and goat’s cheese brunch muffins are particularly particularly fine ones.